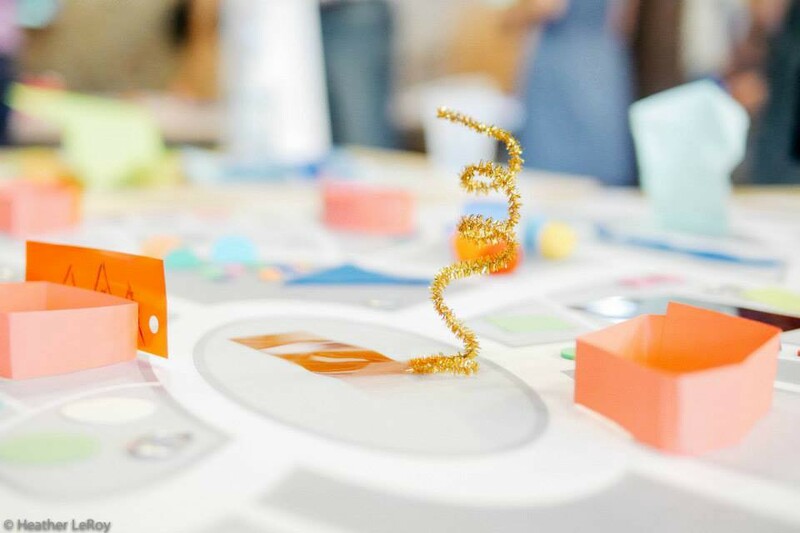 Together, the candidates and the creatives, were given construction paper, pompons, soda can tops, and pipe cleaners from Scrap Made Art to envision what could be possible in cities built from scratch. 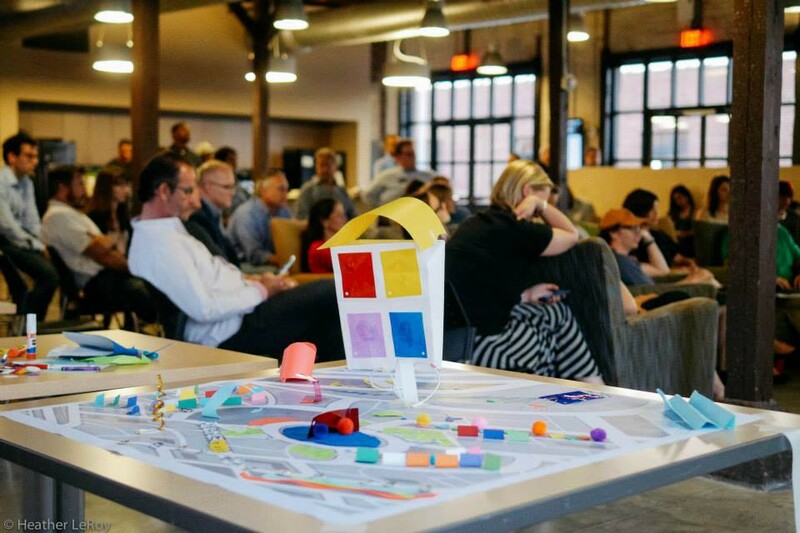 As the dust settled on the new skylines of riverside cafes, green spaces, museums, schools, business centers, and bike paths there was an opportunity to sit and talk about plans for the future of a real creative city, Nashville, TN. There was some trepidation on both sides as the candidates took their seats at Emma’s Bistro. There are so many questions that hang in the air every day around this city and cities like it such as Austin, TX, Portland, OR, and Denver, CO. Cities that are experiencing rapid growth and trying to make plans for the future. Questions about gentrification, housing, jobs, public transportation, education and sustainability. You can hear these questions over the clack of freelancers in coffee shops, through the haze of cigarette smoke in dive bars, in the knot of cars wrestling to get onto I24, or as another cherished business gives way to new development. Everyone knows the questions that will be asked in this mayoral race, but that is not what this gathering was about. It was about a question that may be missed. The value and contributions of the creative class. Each candidate was asked about how creativity exists in their lives. Out came stories about mothers as choreographers and seamstresses, about art classes, piano lessons, and family community service. There were imaginary funds that were dedicated to mural projects, immersive theatre, and places to bring creatives of all backgrounds and demographics together. But the most insightful statement of the evening was that you don’t have to be a creative person to value creativity. That may be the key to the future of Music City. The realization that our inherent differences and values are part of what makes Nashville so extraordinary. You don’t have to value what your neighbor values, but knowing what is important to them and sharing what is important to you is, well, important. Understanding and respecting our neighbor’s convictions is the first step in making a city that rises together without leaving anyone behind. But that’s going to take some creative thinking. And if we don’t have an environment where creativity is taught, learned, encouraged and supported, there will be no creative solutions for our future locally, nationally, or globally. As an artist, I wasn’t surprised by the candidates’ exuberance at the snap and buzz of the creativity in the room. I know it can be intoxicating. But I was surprised by something else. The relatively small turnout for such an important opportunity. 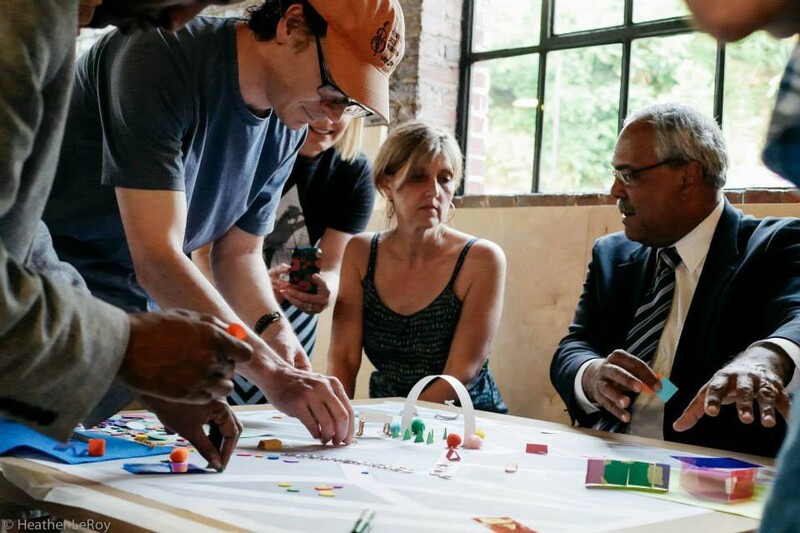 The Nashville Creative Group Mayoral Meetup was an extraordinary chance for creatives to speak directly with candidates about the trajectory of the city and our place in it. The Nashville Creative Group is 2,700+ members strong with creatives from expansive and varied backgrounds with strong opinions on what the creative class needs to be successful. If the Mayoral Candidates took time from their schedules because they believe the voices of the creative class are important, why didn’t more of the creative class do the same? One of my favorite stories of the evening was an art teacher in a candidate’s youth inviting her to imagine not what a flower actually looks like, but what it could be. That’s a bit like stepping back from how Nashville is defined today and imagining the possibilities if we show up to make a plan for our creative future that includes our neighbors and representatives understanding and valuing the contributions and needs of our creative city. 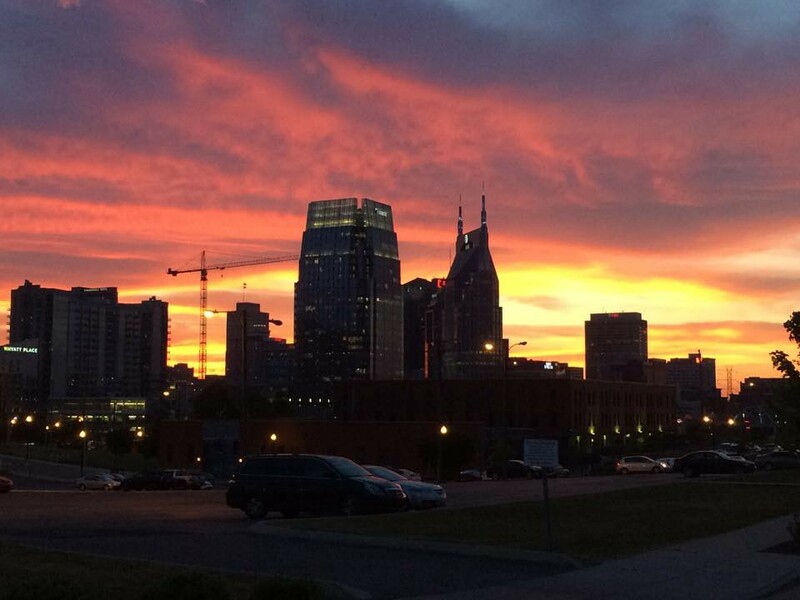 After we shook hands and said our good-byes, the 2015 Mayoral candidates and members of Nashville’s creative class stepped out into the heavy evening air with an outlook on the future of our city hopefully as rosy as the Tennessee sunset.